Cobalt wedding bands are crafted with a super strong metal that combines an amazingly high level of durability with the bright reflective look of white gold. With the many pros cobalt wedding rings have to offer, cobalt rings may even someday surpass tungsten and titanium wedding bands in popularity. 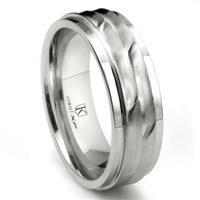 Unlike tungsten and titanium rings, cobalt wedding bands can be resized. Cobalt rings have a higher resistance to scratching than titanium rings. Cobalt rings made without nickel are 100% hypoallergenic. To find out if this is the right metal for your wedding band, see the pros and cons of cobalt and how cobalt rings compare to tungsten and titanium rings, take a look at the info below. 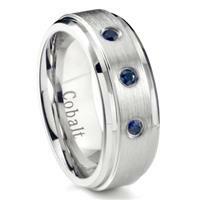 And if you have any questions about cobalt wedding bands, just use the handy comment box at the end of the page! What exactly is cobalt? Cobalt is a pure element which, like tungsten, platinum, palladium, silver and titanium, is classified as a transition metal. An interesting fact about cobalt is that it is a naturally magnetic material – which is a pretty rare characteristic. 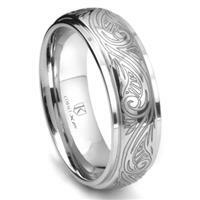 But, cobalt chrome alloys used to create wedding bands do not retain this magnetic property. Cobalt is alloyed with other metals, especially chromium, to increase its durability and wear properties. 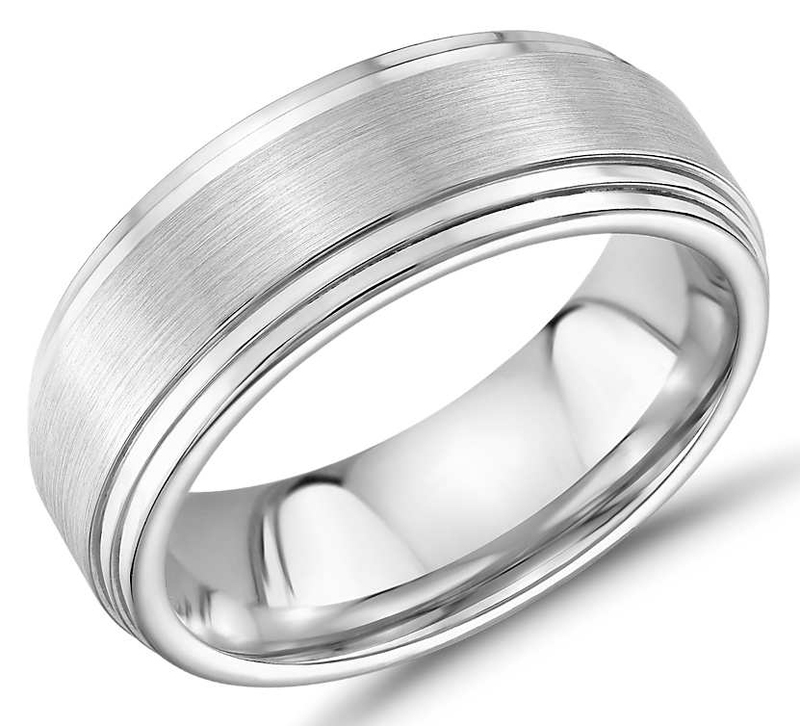 Most cobalt chrome alloys that are used to create wedding bands are made with a mixture of cobalt, chromium, tungsten and a small amount of molybdenum, carbon, iron, manganese and silicone. 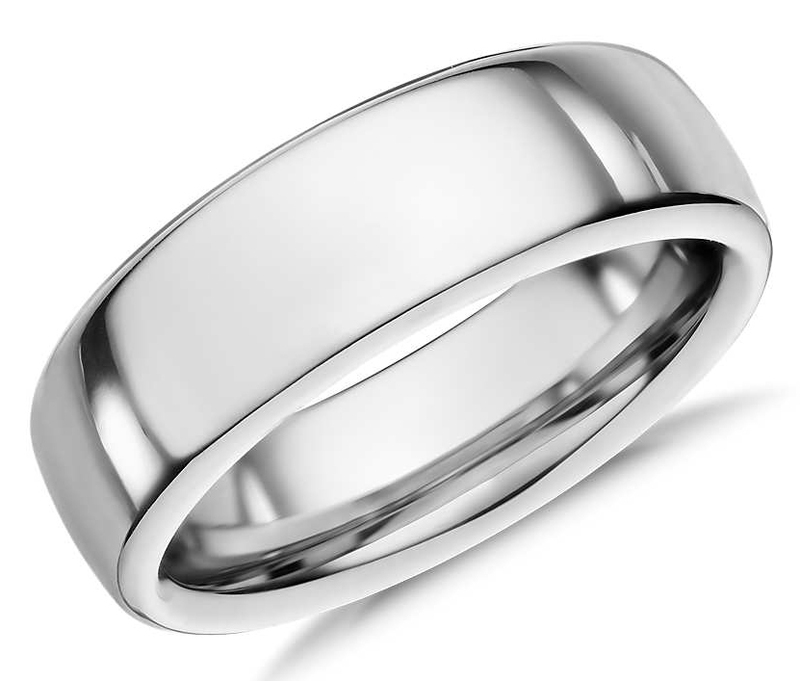 The majority of cobalt chrome wedding ring designers use this alloy formula for their rings, but it is possible to find cobalt wedding bands made with nickel – which can be an issue for those with nickel allergies. 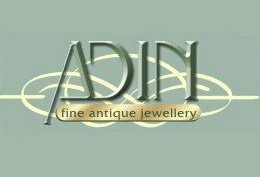 (All links to cobalt wedding ring designers and cobalt wedding band picks on this page are to nickel-free cobalt rings). So what you can you expect from a cobalt chrome wedding band? A lot! Out of all the contemporary wedding ring metals – tungsten, titanium and stainless steel – cobalt chrome looks the most like white gold. Sometimes the look of cobalt chrome rings is compared to platinum, but cobalt chrome is a touch lighter than platinum and is more on par with the gleaming, reflective look of rhodium-plated white gold. 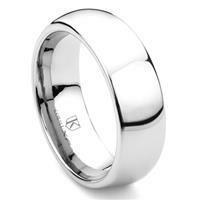 Chrome wedding rings have a pleasing weight and are available in comfort fit wedding band styles. In terms of durability, cobalt wedding bands have an extremely high resistance to scratching and maintain their original condition even under intense brutal wear. Cobalt chrome alloys that are free of nickel are hypoallergenic. In fact, these alloys are so bio-compatible and resistant to wear, that cobalt chrome is now a material of choice for knee and hip replacements. 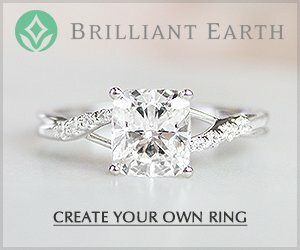 How do cobalt rings compare to other types of metals? Take a look at the tables below! 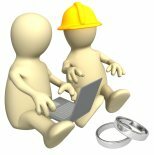 The table here compares the most popular types of cobalt chrome wedding ring alloys with the most common types of tungsten and titanium wedding ring alloys. The HV value is the Vicker's Hardness value of the metals which measures resistance to scratching. As you can see, cobalt chrome wedding bands weigh less than tungsten but more than titanium. 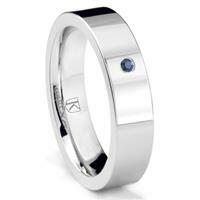 And, in terms of color cobalt chrome offers the whitest look compared to tungsten and titanium rings. All of these metals are poor heat and electrical conductors (unlike gold), and in most cases they are all hypoallergenic. 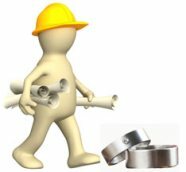 Why are tungsten-nickel alloys hypoallergenic while tungsten-cobalt alloys are not? It all has to do with how the molecules in the metal react and bind to one another. Without delving into organic chemistry, just remember to avoid tungsten-cobalt alloys and stick with tungsten-nickel alloys. And, avoid cobalt-nickel alloys. In terms of durability, tungsten rings beat out cobalt and titanium especially when it comes to resistance to scratching. All three of these metals have a much higher resistance to scratching than gold, palladium or platinum, but if you are looking for a scratch-proof wedding ring a Tungsten Wedding Band is the only type of ring that can offer this quality. 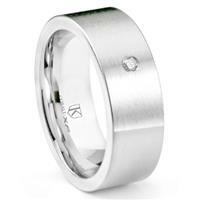 (Not all tungsten rings are scratch-proof though, click on the link to find out more about tungsten wedding bands). The main advantages to cobalt wedding bands, compared to titanium and tungsten bands, is the white-reflective like color - if you are looking for a durable band that resembles white gold - and the ability to size cobalt rings. 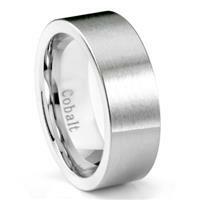 As far as price, cobalt wedding rings are just a touch more expensive than titanium and tungsten weddings bands. As cobalt becomes more popular though, the price for these wedding rings will most likely become on par with titanium and tungsten. And one last difference between these metals is how they perform under extreme pressure. Really extreme pressure! Under excessive pressure tungsten will crack and shatter while cobalt chrome and titanium alloys will usually bend. Keep in mind though, the amount of weight that would be needed to bend these alloys is enormous. 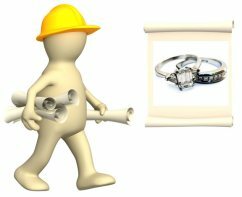 Cobalt chrome, tungsten and titanium wedding bands can all safely be removed in an emergency with cutting tools. 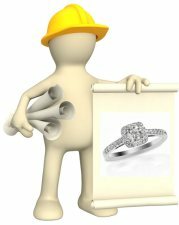 The only exception to this is rings made with aircraft grade titanium, a type of alloy which is not recommended for wedding bands because it is so difficult to cut in the event of an emergency. 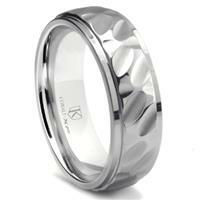 To find out more about the best types of titanium alloys for Titanium Wedding Bands take a look at this page. How do cobalt chrome rings measure up to traditional wedding ring metals like gold, platinum and palladium? Cobalt chrome definitely offers the highest level of durability and wearability compared to these other metals. (Just as an aside, even though platinum and palladium have a slightly lower HV value than gold these two metals wear better in the long run than gold). 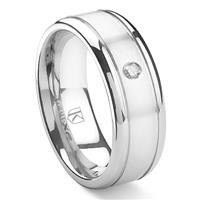 In terms of weight, cobalt chrome wedding bands are lighter than all of the traditional wedding ring metals. And, cobalt chrome rings are the most affordable of these metals too. 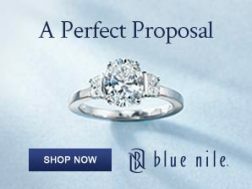 A major pro for cobalt chrome rings compared to white gold rings too is that cobalt chrome maintains its reflective white sheen without the need for Rhodium Plate. But, it terms of availability in styles the traditional metals win. This is because cobalt chrome, like the other types of contemporary ring metals, is so hard to work with that it cannot be crafted into intricate styles and shapes. 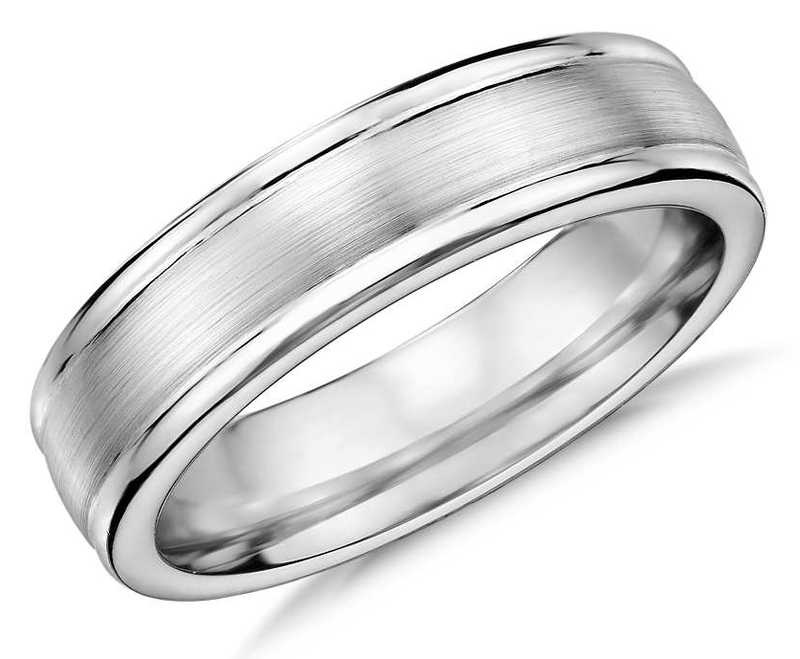 So, if you are searching for something other than a sleek but simple wedding band style the other metals offer a wider selection of designs. 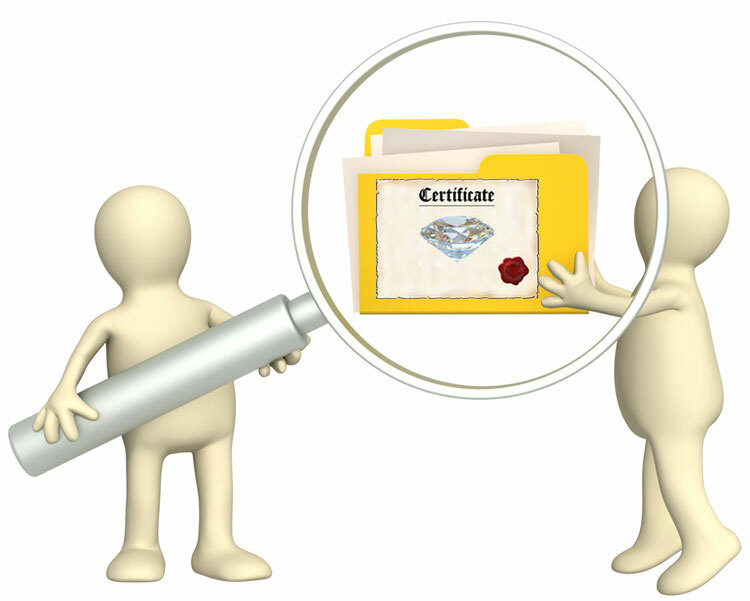 Another major difference between cobalt rings and platinum, palladium and gold rings is the sizability factor. 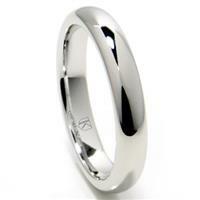 While cobalt chrome wedding bands can be sized, they generally can only be sized up or down by 1/2 to 1 full size. 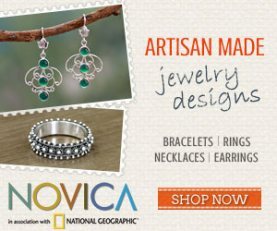 And, they can only be sized by jewelers who are experienced sizing these types of rings. Normally, if a cobalt chrome ring needs to be sized it will need to be sent back to the retailer the ring was purchased from. 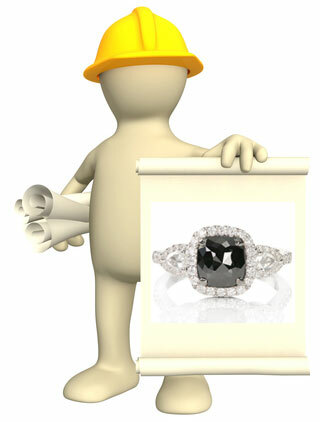 Platinum, palladium and gold rings can be sized by most jewelers, and they may be sized up or down by a larger amount. 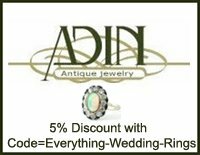 If you are concerned that your finger size may change dramatically in the future, then it might be better to go with a traditional wedding ring metal that has more leeway for size adjustments. And what about the cons of cobalt chrome rings? 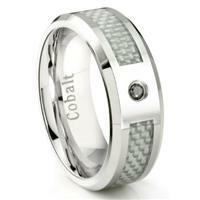 As with all other types of wedding rings, make sure you purchase your cobalt wedding ring from a reputable retailer. Even though cobalt is an extremely strong metal, the quality of cobalt alloys can vary drastically. 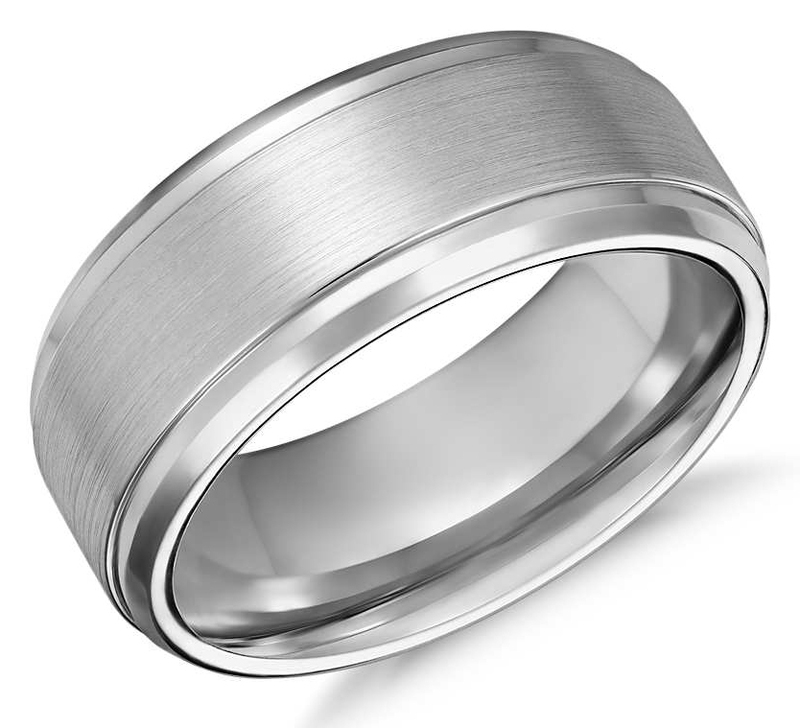 Cheaper cobalt alloys used to make wedding rings may contain nickel and may not offer the same level of scratch-resistance and durability as the higher quality stronger alloys. 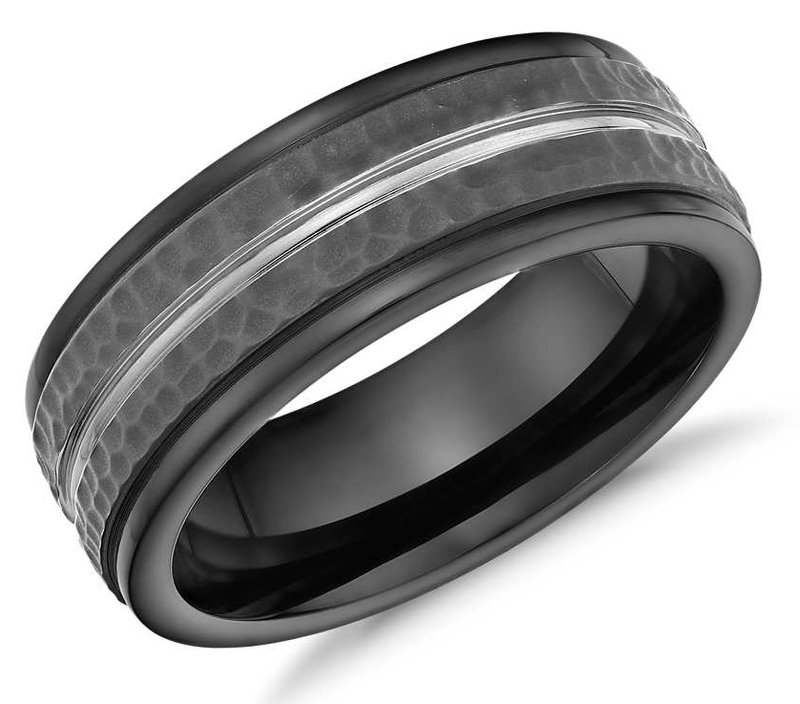 For black cobalt wedding rings, make sure that the cobalt is entirely black and that the black color is not achieved through any type of plate, including ion plate, that will chip and wear away in just a few short months of daily wear. 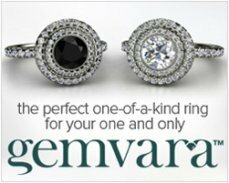 (Titanium Kay is the only jeweler we know of that offers two-tone black cobalt wedding rings made with a black cobalt alloy). Likewise, for any type of two-tone effect make sure that the design is achieved through the use of inlay. Again, avoid cobalt rings crafted with any type of plate. 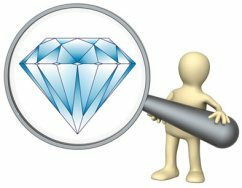 For cobalt diamond wedding rings, the retailer should list the approximate color and clarity grades for the diamonds no matter how small they may be. And last but not least, before you purchase a cobalt wedding ring be sure to size your ring finger at least twice, late in the day. 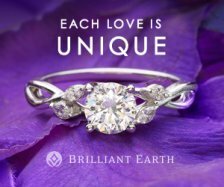 Most cobalt wedding bands are available through online retailers, but you can size your wedding ring finger at any local jewelry store. 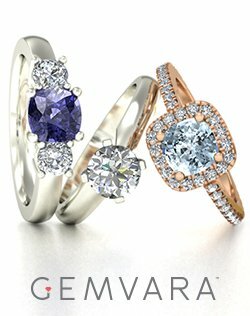 Do you have comments or questions about cobalt wedding bands? 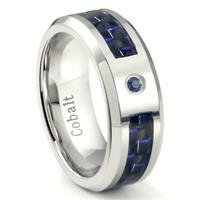 Send in your comments and questions, or share your pics and reviews of cobalt rings here! Cobalt Wedding Band Properties and Care? More Top Cobalt Chrome Wedding Ring Picks by Titanium Kay!